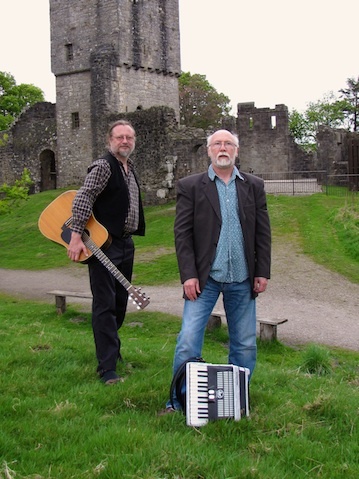 Alan Reid and Rob Van Sante were both former members Scotland’s legendary folk group, Battlefield Band, where Alan’s keyboards helped cement the band’s reputation as one of the most influential of its’ generation. Alan composes songs with beguiling melodies and strong historical content while his contribution to Battlefield Band’s story has helped enshrine its stature in Scottish culture. He is a teacher of Scots song at the prestigious Swannanoa Gathering in NC. Rob is acknowledged for his guitar accompaniments and fine harmony singing. From the 1970s onwards he toured extensively in Europe, North Africa and the Middle East, working with many stalwarts of the U.K. folk and jazz scene. Tickets: $20. To reserve your seat for the concert please email mollysawyer@mac.com. Parking can be found on opposite side of building from French Broad Chocolate. Bring your refreshments and/or snacks to share at intermission.